My friend and I always end up eating pasta whenever we get hungry and hopeless in choosing where to eat, and so we ended up at Secret Recipe. 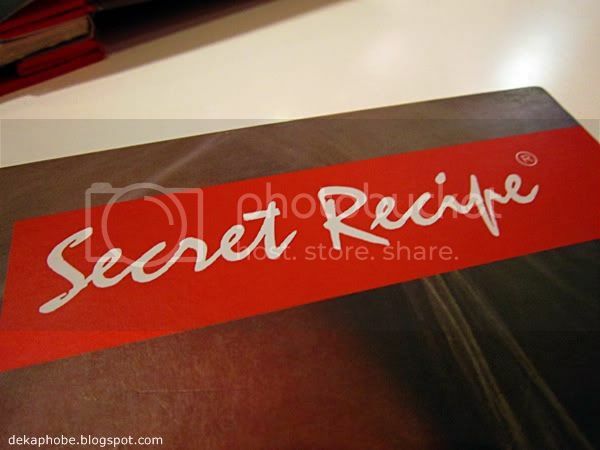 Secret Recipe is an international cafe chain across 9 countries including Singapore, China, Thailand, Australia and Philippines. 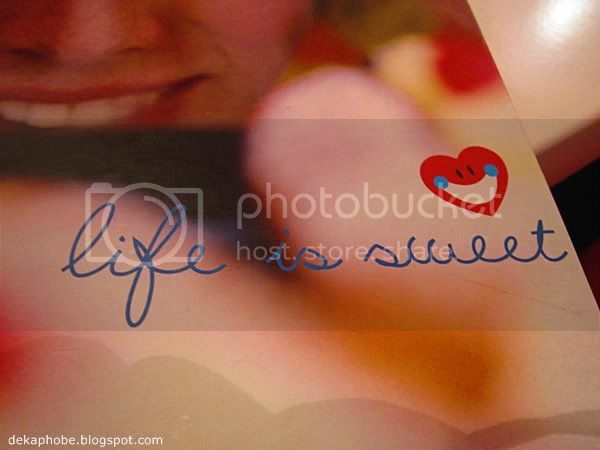 It offers comfort food like pasta, Asian specialties and cakes. 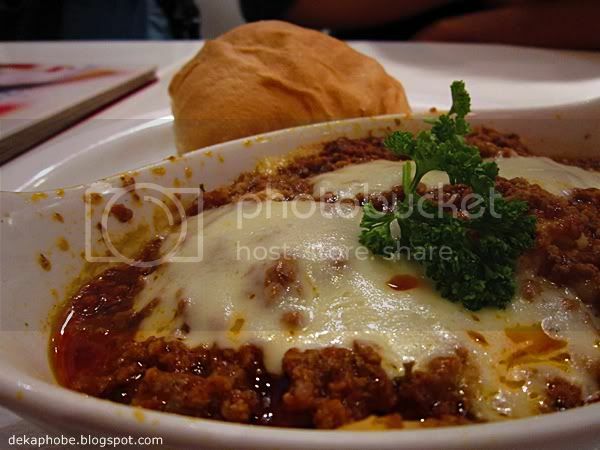 Lasagna is the traditional baked minced beef with special tomato sauce topped with cheese, served with homemade bun. The lasagna looked..microwaved. It looks disappointing. It tastes average. 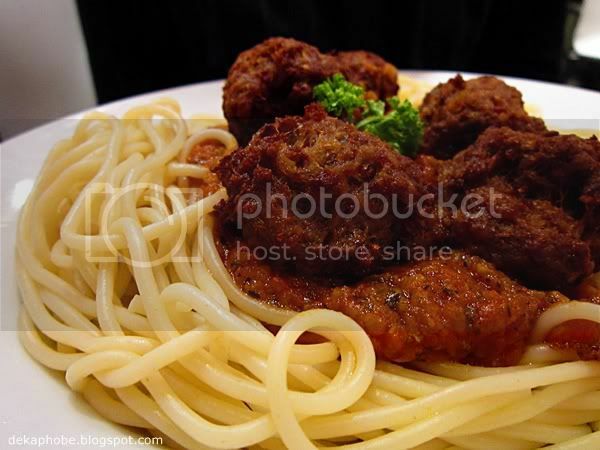 My friend was supposed to order Spaghetti Bolognese (Php 185) but I persuaded him to order the one with meatballs, so he did. Same as the lasagna, it was average. We were supposed to get dessert but cancelled it since we were in a bit of a hurry. Maybe we should have just gotten dessert instead of pasta. Overall, Secret Recipe has a nice ambiance but being an international chain, I expected a bit more than that. Thinking about the pasta we ordered, I should have gone to Greenwich instead. However, I will go back to try the cheesecakes, cream cakes and pies. Hi kay! Onga eh. nadisappoint talaga ako. their pasta was forgetable but a friend loves their dinner rolls which I find okay. I enjoyed their cakes that's why when I'm at Megamall and craving for some desserts, I go here. Would recommend their Pecan Butterscotch.